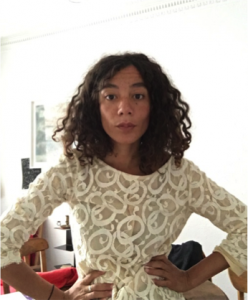 A French artist and writer are heading to Wellington this month to develop their work in New Zealand. As the talented recipients of two international artist residencies, the pair will take their work to new horizons in dialogue with members of Wellington’s creative community. Artist Chloé Quenum will move into the Te Whare Hēra International Artist Residency at Clyde Quay Wharf for six months and writer Amélie Lucas-Gary will occupy the historic Randell Cottage Writers Residence until mid-June 2018. 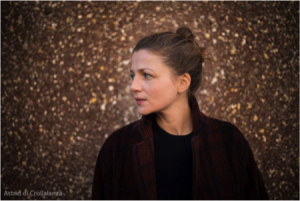 Amélie Lucas-Gary comes to Wellington less than a year after the publication of her second novel, Vierge. Te Whare Hēra Wellington International Artist Residency is a non-commercial initiative run by Massey University’s Whiti o Rehua School of Art and Wellington City Council. The French Embassy in New Zealand has partnered with Te Whare Hēra to bring French artists to New Zealand in 2016, 2017, 2018 and 2019. The most recent French artist in residence Soraya Rhofir, produced an exhibition of works entitled Rough Rough shown at The Engine Room in August 2017. 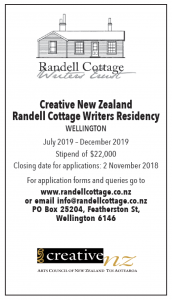 Historic Randell Cottage in Wellington, New Zealand, has been a writers’ residency since 2001. 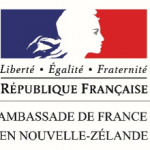 In partnership with the Embassy of France, New Zealand-France Friendship Fund and Creative New Zealand, the Randell Cottage Writers Trust provides a six-month residency each year to a French and NZ writer respectively. The most recent French resident of Randell Cottage, Josef Schovanec, gave a series of lectures around New Zealand in 2017, sharing his experiences as a writer with autism.